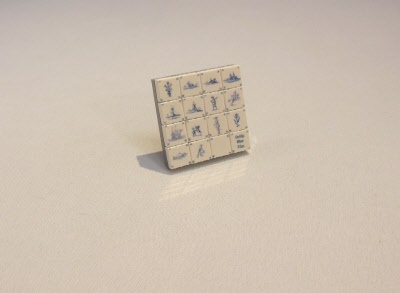 High quality printed tiles with ' Delfts Blue' pictures. Together they make a display with 16 different types of tiles. Also a nice souvenir. Directly printed on white tiles 1x1.